« How Do Solar Energy Systems Work, Anyway? Chances are that, if you’ve been in this part of the country for any amount of time, you already know how vital a great heating system really is. 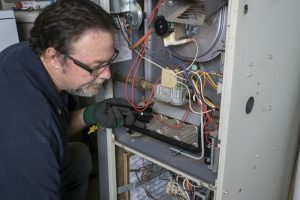 What you may be hesitant to believe, however, is just how important of a role heating maintenance plays in keeping great systems, well, great! That is what we are going to talk about today, so take these tips to heart and remember to schedule your heating tune-up with the professional heating technicians on our team. You can count on using your heater steadily throughout the whole heating season when you live in this area. And you know what that means? You are going to be paying a decent chunk of change to live comfortably in your home throughout the winter months. Now, we are not going to tell you that you can somehow eliminate your heating costs by scheduling annual maintenance. That would be a lie, and we are far too honest to peddle in such trades. However, we will tell you an honest to goodness truth, and that is that routine heating maintenance is far and away the best means by which you can keep your heater working as efficiently as possible. You don’t have to take our word for that, either. Talk to literally any professional in this industry, or your neighbors, for that matter, and you’ll hear the same point made again and again. Winters around here are no joke. The frigid weather can truly be dangerous if you are not able to heat your home effectively and reliably. When you don’t take proper care of your heating system by scheduling annual maintenance with trained professionals, there is just no way in which you can hope to use your heater reliably. Your heater is going to take a bit of a beating over the course of even just one winter up here. It is too cold for too long to allow the wear and tear that the system incurs to go without the attention of trained professionals. After all, when is your heater most likely to break down, if not right when you need it most? No, even regular, thorough heating maintenance is not enough to make your heater last forever. It will help you to enjoy the longest, fullest lifespan that this system has to offer, though. Be sure to schedule annual maintenance without fail if you are serious about getting the greatest return possible on the investment that you’ve made in your home heating system.